How Long Do You Want Student Loans For? One of the things I enjoy about being a personal finance blogger is the conversations I get to have when people find out what I do for my day job. I know I’m not alone in this as many other bloggers have written about the same basic thing. Anyway, some of those conversations make me want to pump my fist and other times they either make me wince or want to scream. My most recent conversation is more along the latter. I was talking with a family acquaintance about how much they and their spouse had in terms of student loans. We’ve all heard the numbers about how there is supposedly at least $1 Trillion in student loan debt in the U.S. and this family is carrying much more than their fair share of that number. All totaled, between the two, they have well over $300,000 (nearing $400,000 really) in student loans with plans to take on even more. Hearing that number seriously put a lump in my throat. It was what I heard next that made me want to scream. The next statement that came out of our friends’ mouth was saddening, to say the least. They said that they fully expect and are ok with the fact that they will be paying off their student loans well into their 60’s and 70’s. It also didn’t surprise me when they said that they were carrying some serious credit card debt as well, though they didn’t reveal just exactly how much they were carrying. That said, they’re carrying various types of student loans from federal student loans to private loans as well as fixed and variable rate loans. This is not meant to judge them, but simply to paint the picture of where they’re at. The looks on their faces told me they are resigned to the fact that they will likely be carrying debt with them to their graves. I would understand, on one level, if they were actively paying off the student loan debt but they’ve put all of their student loans on forbearance and delayed repaying them as long as possible. Now that they’re due they’re simply paying the minimum required as they believe it’s impossible to rid themselves of these student loans. It really wasn’t the amount of the student loan debt they’re carrying that saddened me (although it is staggering) it was the fact that they’re simply resigned to being in debt for decades. Unfortunately our friends are not alone in terms of how long they will be carrying their student loan debt. According to a 2012 study from the Federal Reserve Bank of New York, those who are 60 and over are carrying just over $36 billion in student loans they’re needing to repay. That is a staggering number to say the least. So, instead of being able to focus on preparing for retirement and drawing down expenses, many are needing to deal with the shackles of student loan debt they need to kill. How Should We Handle Student Loans? Remembering back to my own student loan debt payoff journey, it took me a number of years. I did not receive any real counseling on student loans and most schools that I know of do not offer any type of education on how student loans work. That’s not really the point of the post, but it reveals that we need to have a paradigm shift in our thinking on student loans. If we can’t rely on the government to make improvements and we likely can’t expect colleges to do anything to curb rising student loan debt anytime soon, then the onus falls on us as parents and as students looking to go to college. A recent study released by the Credit Union National Association (CUNA) reveals that many parents are failing in this area as over half polled don’t know how long it will take their children to pay off their student loans or what the rates will be, but know full well that they will need to take out student loans to finance their college experience. What’s even more striking about the study is nearly 90% of parents polled believe their children will graduate and walk into a highly paying job. I believe that what we can draw from this is that there is a lack of true knowledge about the inner workings of student loans and an overwhelming belief that students will walk into a decent job once they do graduate, at least so far as this study from CUNA tells us. With that in mind, I believe it behooves us to begin to appreciate the fact that ignorance gets us nowhere. We as responsible adults need to begin to think as consumers when it comes to college. We need to help students make informed decisions with relation to degree options, school location and so much more, all the while balancing the importance of following something they enjoy. While that will still most likely not free them from the need to take on student loans, it could help loosen the shackles of student loan debt around many students’ ankles. This also includes finding ways to consolidate student loans, such as through firms like Achieve Lending, in order to get lower rates and thus make repayment easier to manage. Thinking back to our friends, it saddens me to think that they could be paying on their student loans until they die. That is especially the case when one of the degrees really provides little to no value. It is my hope that we can help current and future generations so they’re not shackled with student loan debt for the majority of their lives. Did you have to take out student loans to pay for college and if so, how long will it or is it going to take you to pay them off? 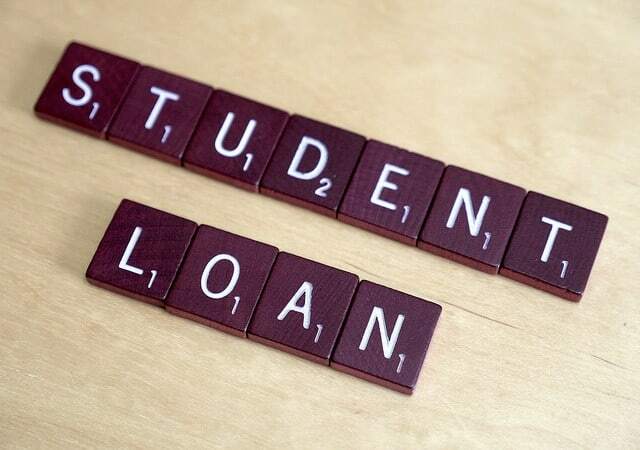 What is one thing you believe could be done to help stem the problem of rising student loan debt? I took out student loans for university, but also worked part-time during term time and full time during summer and winter holidays. Therefore, I was able to keep my debt under £10k, which I had paid off after 3 years at work. I was paying them off whilst saving a deposit for a house and other matters. Here in the UK, the interest rates are very low on student loans and hence I was not in too much of a hurry to pay them down, but I could not imagine having as much student loan debt as your family friends have in this story. I think the way you did it is the way to go Graham. Unfortunately, I think you’re in the minority with regards to it though. I definitely wouldn’t want student loans hanging over my head in my golden years. No way. With that being said, I feel fortunate that we only had around 20K in loans to kill. With the amount so low, we had a lot of motivation to pay them off. I don’t know how I would feel if I owed 400K. I feel the same exact way Holly. Those are not years to be dealing with something like student loan debt. I was the same way. I was in the $20k range which just motivated me to kill them as soon as I could. Oh my goodness! I got a lump in my throat when I saw that student loan tally. It is just ridiculous!! The time to control student loan debt is before you take it on. I wish that more people were counseled properly about the long term ramifications of student loan debt rather than just telling them it’s a part of life if you want a career in a particular field. After the damage is done, though, it’s really hard to get ahead when you start out so far behind. I have a few clients who have done it; however, they fortunately make a really good income. I don’t know how people do it without those income levels, though. I completely agree Shannon. It needs to happen before we give out the money. It can be hard to get ahead when you’re starting out so far behind – and that’s with a good salary. I was fortunate that I did not, but it seems like a lot of people resign themselves because they think, “oh it’s just another payment, like the cable or gas bill,” but with so many other expenses it’s a choice, and it also doesn’t rob you of your future. They don’t see the perspective that that money could go towards so many other great things in life. I think you’re dead on there Tonya. Many, myself included in the past, just resign themselves that it’s just a part of life when it doesn’t necessarily have to be. I am not down for student loans at all, so I didn’t take them out for school. Instead, I worked my way throughout college to pay for it. It was an effective way to keep myself on track and student debt free when I graduated. That’s definitely the way to do it if you can! Ah well you know our # is quite similar to that – just crossed 300k and will probably be 400k when its all said and done since its accruing interest. That being said, hubs should have a high salary if he picks the specialty he is currently interested in so I plan to destroy it as quickly as possible…. I think it depends on what your friends do for a living on whether or not those loans were worth it. Sometimes people just keep going to school and justifying all of that when really there are very few careers where someone could handle that level of debt. That’s the thing Cat – you guys have a plan and end goal…it’s working towards something and y’all will be doing great, especially if it’s it the specialty he’s looking at. Our friends, however, are on the other end. One of them has a great degree…but they choose not to use it and just sit idle with the loans. The other just seems as they’re collecting degrees. I couldn’t imagine doing that only to be racking up debt all the while being ok having the debt for an eternity. I agree that we absolutely need to think as consumers when it comes to college, unfortunately, I think it’s a hard mentality for an 18 year old to grasp, and parents get so caught up in the admissions process, that they often fail to give the same attention to financial aid. I couldn’t agree more Stefanie. I think it’s one of those things that unfortunately gets lost in the shuffle of it all. That makes me sad beyond belief. I had loans until almost 40 and I thought that was bad. You have to wonder about lenders who keep lending that much money for degrees that will never pay off. I guess maybe it’s because student loans can never be discharged unless you die, so they assume they’ll get paid. I am not opposed to student loans at all, but there does need to be a future payment discussion before students should be able to take as much as they want. That’s a great point Kim. It does make me wonder about the lenders, but I assume they’re just gladly handing out the money knowing they’ll be repaid in all likelihood. I’ve been having a lot of cognitive dissonance over my student loans. On the one hand, we could just get rid of them before they come out of deferment. On the other hand, 3/4 of them are at a < 2% interest rate and we have the payoff money already invested and it's earned a nice return. I had just resolved that we really are going to pay them off despite the math when I saw what my minimum payment is – just over $100/month. For $16,000 that we could keep invested. And I bet I could lower that because I'm underemployed. Ugh! I should just pull the trigger to pay them off and put myself out of this math vs. emotion misery. I don't really want to be in debt but I do want to grow my net worth and this is reeeeeeeally cheap financing for the moment. I know exactly what you’re talking about Emily. I dealt with that some and currently helping a family member through the exact same situation. It’s a tradeoff, as you already know. 🙂 Other than being based off of your personal circumstance I tend to say what’s going to help you sleep better at night – what are you going to derive more value out of? I would tend to say having the debt gone for me…but that is a dirt cheap rate. So, I can understand your tension. I really think that student loans/high cost of higher ed will be the next bubble to burst. I went to a state university so my student loan debt is manageable. I do have a lot of student loan debt from law school, but fortunately I went part-time and worked full time so that minimized my debt compared to some of my colleagues. I killed off the higher interest debt but I have a good amount that range from 2 to 4% so I’m not in as much of a rush to pay them off…rather invest. I would tend to agree Andrew. There is just SO much of it that it’s hard for me not to think it wouldn’t happen. “They said that they fully expect and are ok with the fact that they will be paying off their student loans well into their 60’s and 70’s.” I’m curious if there is any way for them to get them forgiven? I always thought that if you were able to delay them or make them income-based, etc. for 20 years then there were government programs that allowed you to forgive them? Not something I’ve looked into but probably worth it to them. I’m curious what their professions are, too, as I would only expect that sort of debt from lawyers and doctors. This is such a complex issue. First, I deeply wish college wasn’t so expensive. Not everyone will go to college even if prices come down, and that’s fine, but anyone who wants to go and has what it takes should have the opportunity without going into huge amounts of debt. Second, there should be programs and classes about this sort of thing. No one should take on student loan debt without knowing exactly what they’re getting into. Student loans are so common that signing up seems somewhat normal, like no big deal. I would know. You may hate this, but I’m one of those resigned to great amounts of debt. My husband’s education is outrageously expensive, and our debt is still growing. At what point are your life’s dreams not worth the debt you’ll incur to reach them? That’s a tough and unfair question in my opinion. “there should be programs and classes about this sort of thing.” I could not agree more Natalie. You are right…this is such a complex issue and we do young adults no favor when we throw them to the wolves just expecting all will work out in the end. We need to look at it from a consumerist mindset and make the best decision based off as much of the facts as we have. Great post, John. I see this every day too. People are resigned to debt. And it is so sad. I still believe in a college education, but you are 110% right that parents need to sit down with our kids BEFORE they choose a college and weigh all their options. And sometimes, even though they may resent it, you have to make the right choice for them. Even when you fully explain it to them, it is still hard for them to truly comprehend because in their minds they won’t have any problems paying it off. Thanks Shannon. I can imagine that you do see this quite often and could not agree more. I think it’s on us as parents to help them make the best and wisest decision. I know that can be easier said than done at times, but is what we need to do. Even though I’m 27 now (and paying off student loan debt from graduate school), I have distinct memories from the “kid’s” perspective of my dad explaining student loans and debt when I enrolled in grad school; however at that age i just didn’t get it–but I’m sure I was full of ignorant confidence. Looking back I dd not have a realistic grasp on how student loan debt will impact my life. I’m paying them off as fast as I can now!! I took out student loans while I was in college. At the time it wasn’t a large amount. I made the mistake of deferring some and putting others in forbearance. I am actively working on paying them down. I want to have them eliminated in 4 yrs. Having them paid off within 4 years isn’t too bad at all Jason – best of luck! The more I read about student loans in the US, the more I feel like I’m looking into a crystal ball and seeing *exactly* what’s going to happen to students in the UK a few years from now. I hope for both that you’re wrong Myles. However, I am concerned you’re not. I am personally trying to pay off my student loans as fast as possible. I can’t even imagine them sitting there until I’m 60 or 70. I don’t even want my student loans to be there when I’m 30. The monthly payments are always reminding you that that they are there taking away from your hard earned income. I really hope that we start educating high schoolers on the true cost of going to college so that they can make a more informed decision going forward. I’m with you there Debt Hater – I’d hate having them to deal with when 60 or 70. Real education on the issue is definitely needed. Wonderful timing, we are just paying off my husband’s grad loans today ($17,000), one month before the grace period is up. We are paying his undergrad loans next month ($5500). It is hard to cut things from the budget and we hustled, but it is so worth it not to have an almost $260 bill every month. I took out student loans to pay for a VERY EXPENSIVE for-profit college education, which I consider to be the biggest mistake of my life. I borrowed about $72k. I was actually steered towards private loans first and had no clue interest was accruing until I entered repayment and owed about $102k. Paying interest on interest is the worst feeling ever. I think my loans would have been more manageable had I been paying the interest while in school (both fed and private loans). I didn’t have anyone warning me about SLD, they were actually encouraging me to get a degree at all costs because it would lead to success. There definitely needs to be more education on student loans that happens in High School. It needs to be more than just facts because young adults/teenagers don’t heed warnings in that manner (I’ve tried). They need some kind of role-playing demonstration. I’m on a 25 year repayment plan for my loans, which means I’ll be 50 when I’m supposed to be done paying them off. I’m currently on Income Based Repayment for Fed loans at a $0 minimum payment so I can put 100% of my income towards my private loans and pay them off ASAP. After 4 years, I paid off my first private loan, 3 more to go. I’m hoping for loan forgiveness under IBR after 2035 rolls around, but I can’t trust our government…after all, education is a profiting business for them! I can’t find a career in my field so I’m forced to freelance and I don’t make much. I am scared I will carry these loans to my grave and I actually kind of bank on dying before I reach retirement age. Pretty sad, I know. Between my husband and I, we had $80K in loans. They are paid off now, but took the first 15 years of our careers. We both worked part-time, but we also chose to have our children while we were in university. I used to believe student loan debt was the best kind of debt because the interest rate was low, the term was long, the payments were relatively easy and the asset I got in return (a college degree) was my ticket to a higher income job. I ended up having to complete a second degree (taking out more debt) to leave college with a marketable skill (finance). From my experience, I can point to a huge hole in advising. The cynical side of me believes that the university doesn’t really have an interest in sensible advising because if it did, a whole lot of social science programs would be in real trouble. The guarantee of student loans is also a huge problem because it takes the risk burden off the back of an interested lender and puts it onto the backs of uninterested tax payers — without that risk, lending increases and with more money chasing the same thing, the cost of that thing (tuition) necessarily skyrockets. The saddest math is this: if I’d taken a job out of high school and squirreled away as much as I paid in tuition into a retirement account instead, I’d retire a millionaire.